Our central location in the United States, allows for unrivaled access to a multitude of transportation routes. 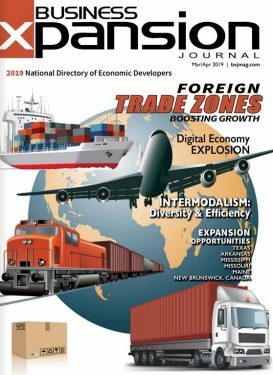 Newton, Kansas is a forward-thinking community prepared for progressive industrial development in the Kansas Logistics Park. The Park provides ideal access to roads, rail and air transportation unseen anywhere else in Kansas. Interstate 135 and US Highway 50 create a virtual X within the city limits allowing access to the eastern, western, northern and southern borders of our great country. Burlington Northern Santa Fe and Union Pacific, two class 1 rail carriers, have access to the Park through WATCO Companies, the largest privately held short line railroad in the United States. Air transportation is convenient using the 7200-foot runway of the Newton City-County Airport less than two miles away. For those requiring larger commercial jet services, Wichita’s Mid-Continent Airport is a short 30 minute drive to the south. This proximity also allows Newton and the Kansas Logistics Park to be a part of the Wichita MSA and the regional Foreign Trade Zone allowing our companies to take advantage of this benefit. A ready workforce of over 61,000 manufacturing employees is available within a 50-mile radius of the Park. There are 30,300 aircraft workers that staff over one thousand manufacturers. No other place in the Midwest has the abundance of qualified workers, suppliers, tier I & tier II manufacturers, OEMs and aircraft companies as south central Kansas. Committed leadership and a dedicated team represent the Kansas Logistics Park. It is through this relationship, the Park has garnered strategic partnerships with the Port of Catoosa in Oklahoma and the Port of Kansas City in Missouri. 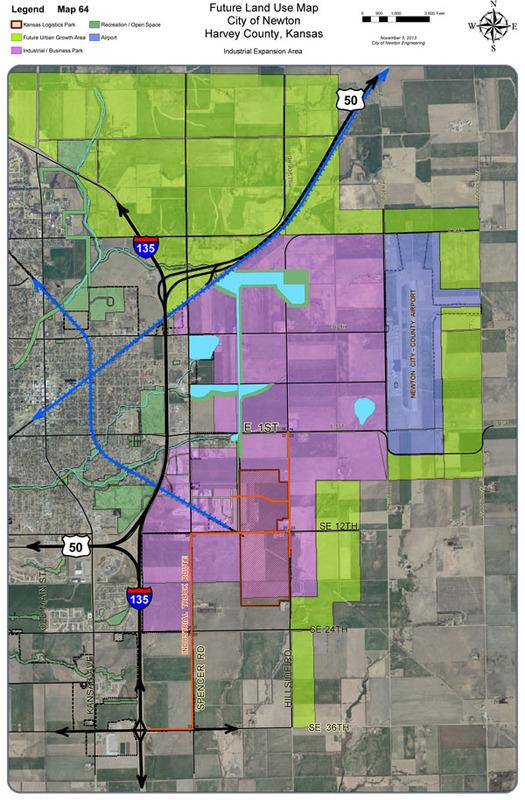 With over 400 acres set aside for the development of the Kansas Logistics Park, the City of Newton and Harvey County look forward to working with industries, logistics and manufacturing organizations researching the perfect site to expand. Westar Energy Inc possesses ample capacity to serve the Kansas Logistics Park. A 69kV transmission line is nearby with 12kV running adjacent to the Park presently. As the need warrants new line extensions, substations and service transformers can be added and if an analysis of expected revenues from the new load provides a fair return on Westar’s investment, the cost may be borne by Westar. Provided by Kansas Gas Service Kansas Gas Service has intermediate pressure distribution gas mains located in portions of the road rights of way of SE 9th St, SE 14th St, S Spencer Rd, & Industrial Rd, all west of the Kansas Logistics Park. These mains may require extensions of up to two miles or more in order to serve the most outlying parcels within the park. Served by a 12” water main looped through the park along SE 12th, Hillside to SE 9th. System pressures are driven by the South Side Booster Pump Station located just north of SE 12th and Spencer. Our system is designed to meet fire flow demands for industrial facilities of 2500 gpm at 20 psi for a 2 hour duration. A sanitary sewer interceptor ranging in size of 15”-36” diameter was extended under I-135 to a location in the park just north of SE 12th. This collection system carries sanitary waste to the City of Newton BNR Wastewater Treatment Plant scheduled for upgrades beginning in January 2014. The new plant will treat 4.4 MGD average flow, 8.8 MGD peak flow, and 13.2 MGD wet weather flow. As the Park is relatively new, all available telecommunications services can be customized to meet the needs of any client.